We offer industry leading selection and quality, plus one-on-one service from our account management and customer service teams you won’t find anywhere else. Read below for more benefits of purchasing workwear and footwear from ServiceWear Apparel. Our Account Managers work directly with your department representatives throughout the entire buying process. They’ll send product samples, recommend products, help define emblem needs, and assist with setting up your account and placing orders. National IPA and TCPN participating public agencies have access to our most competitive pricing — product savings up to 40% and more. Our fixed annual pricing provides simplicity and transparency. ServiceWear Apparel offers over 75,000 styles, sizes and colors of uniform garments, with over 15 million pieces of inventory in stock. We distribute a comprehensive range of high-quality uniforms, work apparel and footwear from leading brands, including Red Kap, Wrangler, Timberland, and more. We offer over 6,000 customization options to ensure your garments accurately identify your agency. The National IPA contract also offers free pant hemming and no setup charge for embroidered logos. Learn more about our customization options. Additional charges for nonstock and oversize garments above XL typically represent up to 30% of a uniform budget. Using this contract eliminates these additional costs. Quality control systems and 22 different tests monitor our garments for pattern, fit and color consistency and garment construction. We guarantee all products will be free from workmanship and material defects for one year. Learn more about our quality assurance processes. 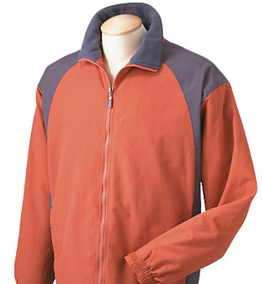 ServiceWear will customize an online portal for garment orders specific to each customer, profit center, and location. 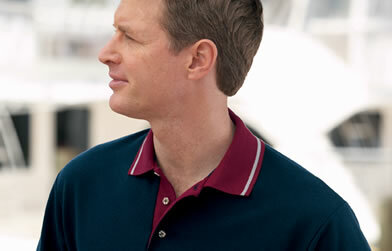 We give our customers the ability to control garment selection and enforce brand standards. Only garments approved for each specific location are populated on the site, along with the appropriate embroidery and other customizations. All National IPA and TCPN public agency contracts are voluntary usage. You have no long-term legal obligation to use the contract if you are not 100% satisfied. By “piggybacking” off of this competitively solicited contract, no bid process is required — saving significantly on time, energy and administrative costs. Once your order is received, it enters one of the world’s most advanced delivery systems. We ship as many as 100,000 garments per day, and have the specialized resources and supply chain expertise to provide on-time delivery on 95% of all stock products. Unlike most uniform programs requiring four to six weeks, the average turnaround time on stocked garments, is typically under 14 business days. For large organizations seeking greater control and visibility into overall uniform spend, we can offer web-based managed programs by location and employee. Program customers can apply allowances, stipends and garment allocations on a per location and per employee basis. There are four easy ways to place an order with ServiceWear Apparel: email or fax your order to us, place it online or call customer service. Click here to learn more about our ordering process. Once your order is filled, it enters one of the world's most advanced delivery systems. 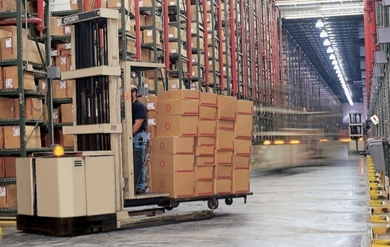 We have the specialized resources and logistics expertise to provide at-once delivery on 95% of all stock products. Find out more about how your agency or department can take advantage of these benefits. Click here to complete our online form now.